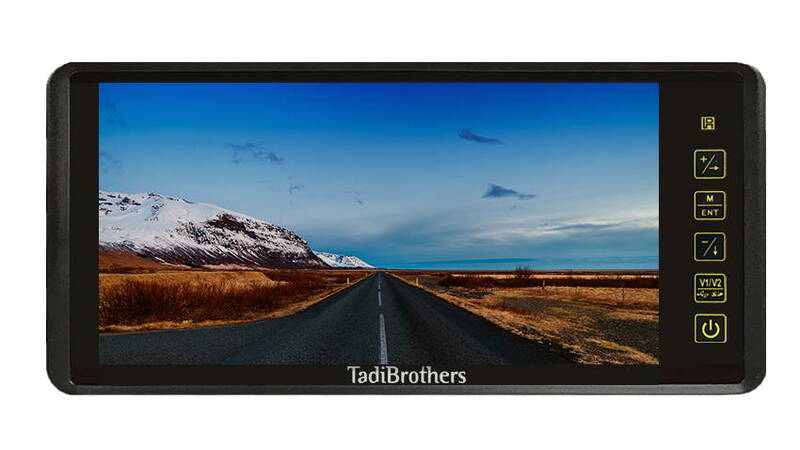 Read about all of our rear-view monitors before making your choice, then choose the best monitor for your needs at the Product options on the right side of the product page. 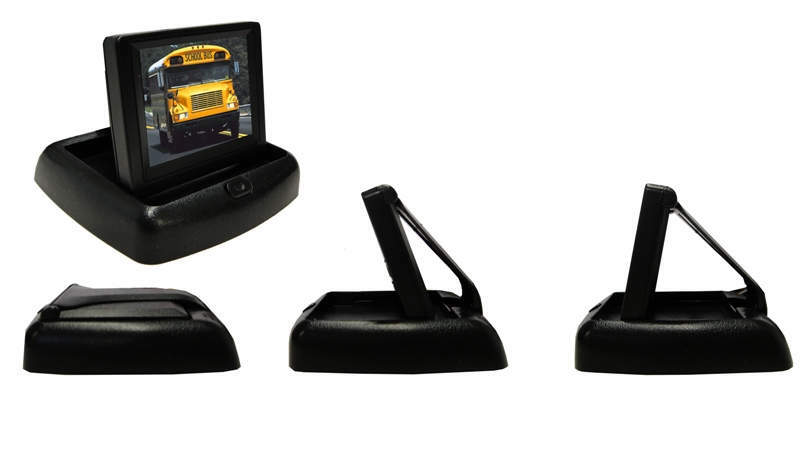 This discrete pop up rear view monitor is great for people that need a backup camera but don’t want the screen blocking their view when they aren’t using it. 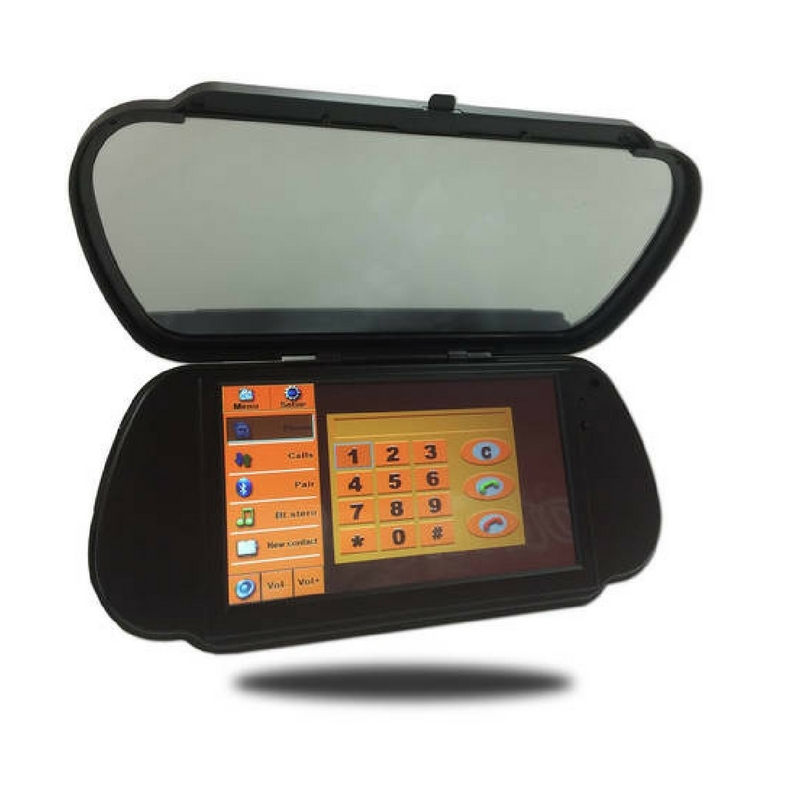 This monitor is available in a 3.6 and 4.5-inch version and when not in use it can be flattened out and when you need it, the screen will pop up with a push of a button. 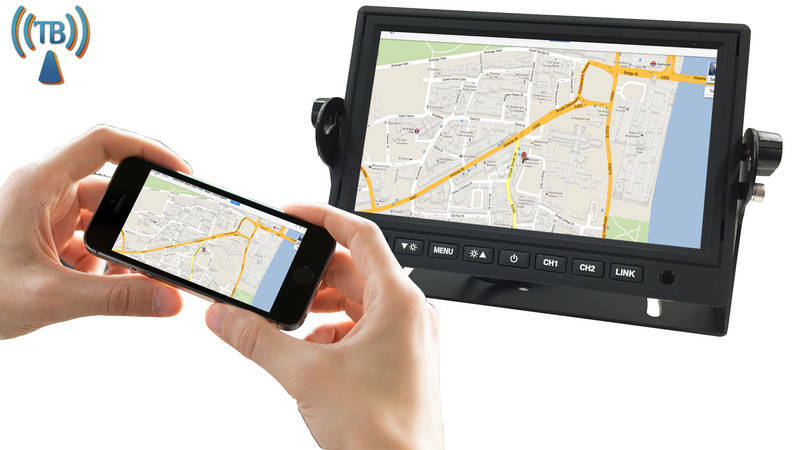 This 5-inch viewable screen includes a removable dash mount and an optional suction cup mount. The included dash mount can be fastened to any surface with the included adhesive or screws. This monitor has a single master input and a secondary that will turn on only when it gets a signal. that will work with any of our backup cameras.This is a great solution for those who don’t have a lot of space or are looking for a rear view screen that can be on constantly while you are driving. These monitors are our most popular. With 2 inputs and a remote control, these monitors come with everything you need. It is a great balance for those who wants more viewable screen but not take up too much of your precious dash space. 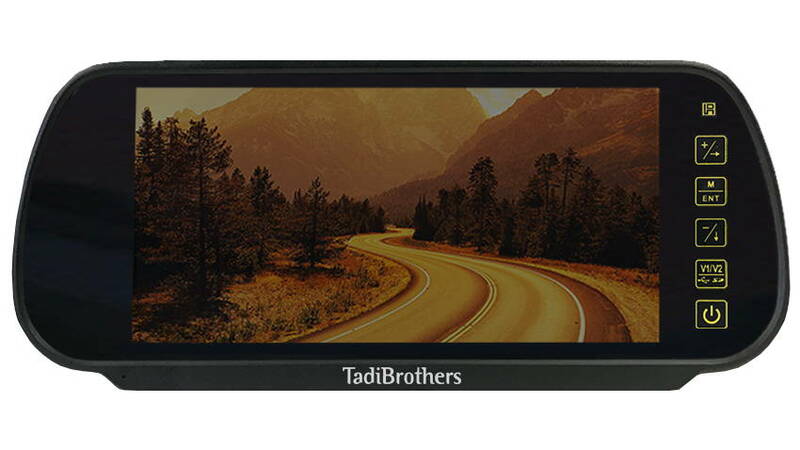 The monitor also comes with an adjustable dash mount that can be screwed or glues into your dash. Some have also used the included mount to hang the screen from your roof. There is also an optional suction cup mount for your front window. This monitor is available in both a 7 and 9 inch with the same features, but the 9-inch has a bigger viewable screen. 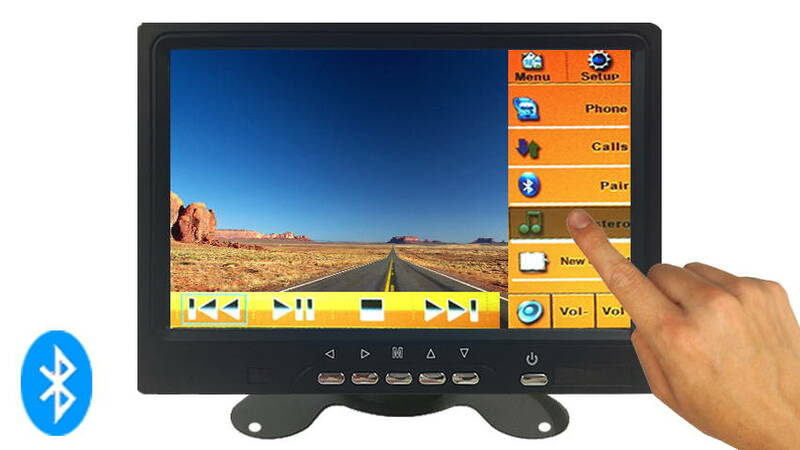 This series of monitors also has an optional upgrade to include a built in DVR. 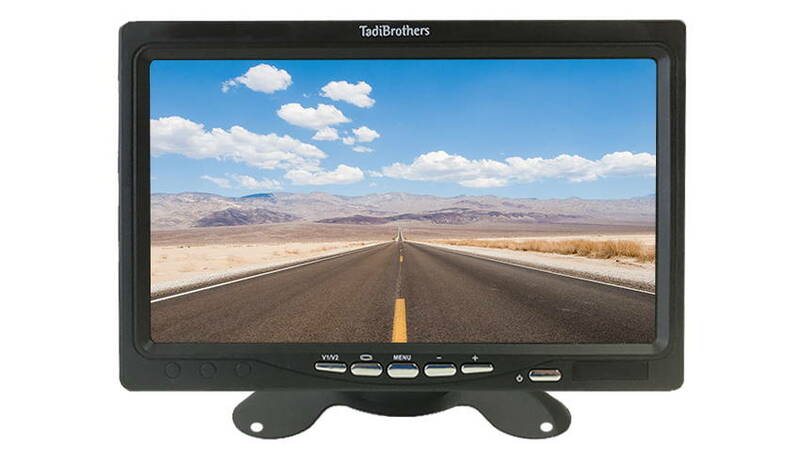 This 10.5-inch rear view monitor is very popular with those who want a big screen. 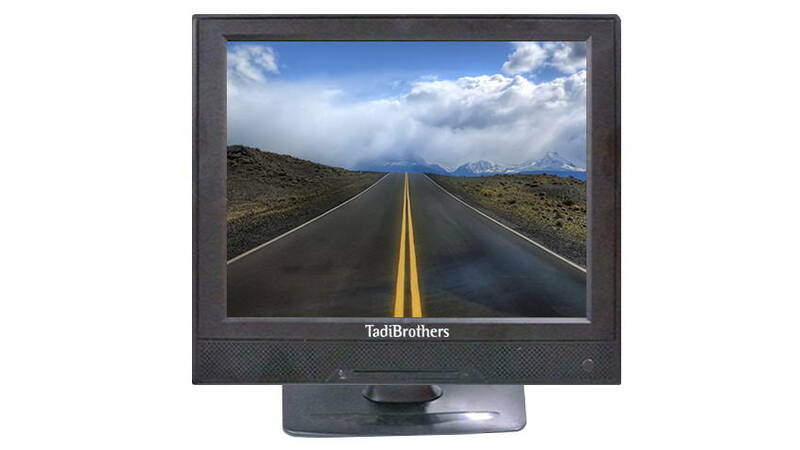 This is the largest rear view monitor TadiBrothers carries. 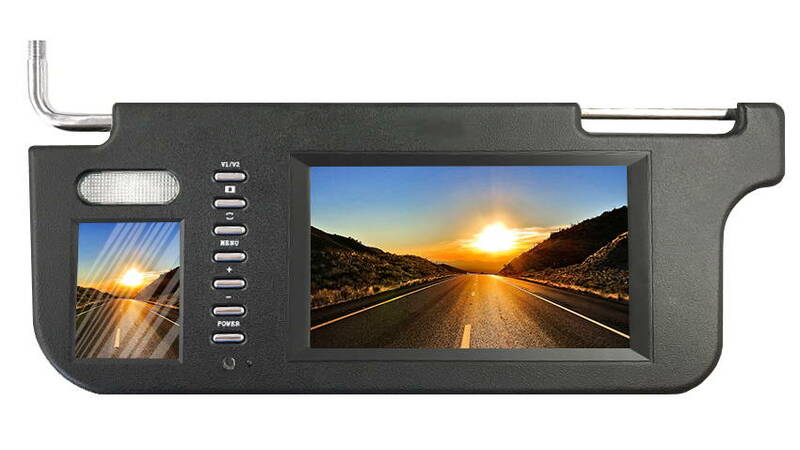 Engineered for 24 hour continuous viewing makes this a great monitor to watch while you going down the road and can double as a security system for when you’re parked. 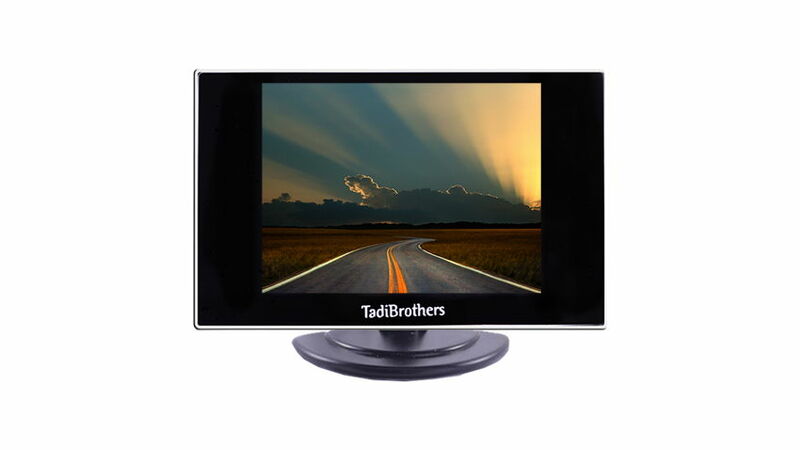 This monitor features our brightest LCD panel which makes it perfect for daytime viewing even in direct sunlight and it also includes a remote control and dash mount. The wifi monitor enables you to mirror (Miracast/airplay) your mobile phone, tablet or Laptop to the screen through a wifi network created by our display. This will allow you to stream movies from Netflix, Hulu, or even your own content directly to your screen and yes you can even mirror google maps to the screen. 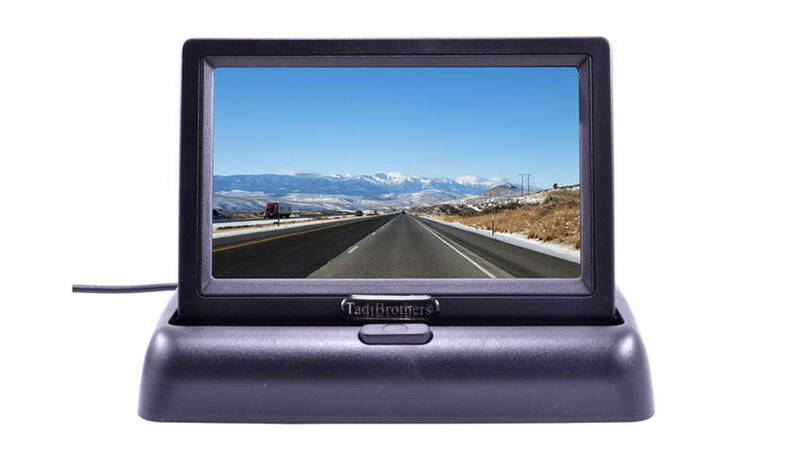 This series of rear view Monitors boast our highest resolution LCD panel and is compatible with iOS, Android, and Windows. This is a full mirror replacement that has a 4.3-inch LCD screen built into the mirror face. The rest of the face is a regular mirror. This mirror has a special glass that allows you to see the LCD screen only when it is getting a signal from a backup camera. When it is off the the entire face looks like a regular mirror. This is called a “full mirror replacement” because it comes with The a universal arm bracket that will attach to your windshield like the stock mirror. This our most popular clip-on mirror because it has a large LCD panel, 2 inputs and comes with a remote control. We strongly recommend that you get the 7-inch mirror because both the 5 and 7-inch use the same size shell but we put a bigger LCD panel in the case for the 7-inch version. 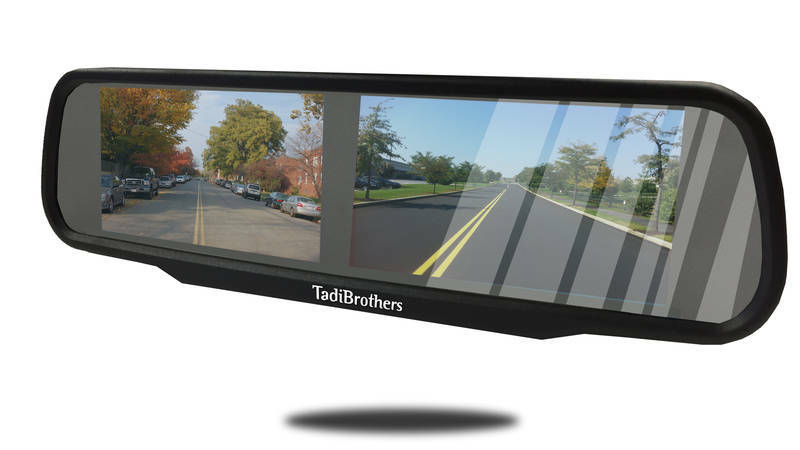 This also features our special mirrored glass that allows you to view the LCD screen in full color when using the backup cameras but when the backup camera is off the entire face of the monitor looks like a mirror so that anyone in the car wouldn’t know it doubles as an LCD screen. This mirror features a full touch screen with an SD Card slot and USB input that allows you to watch movies from any source. 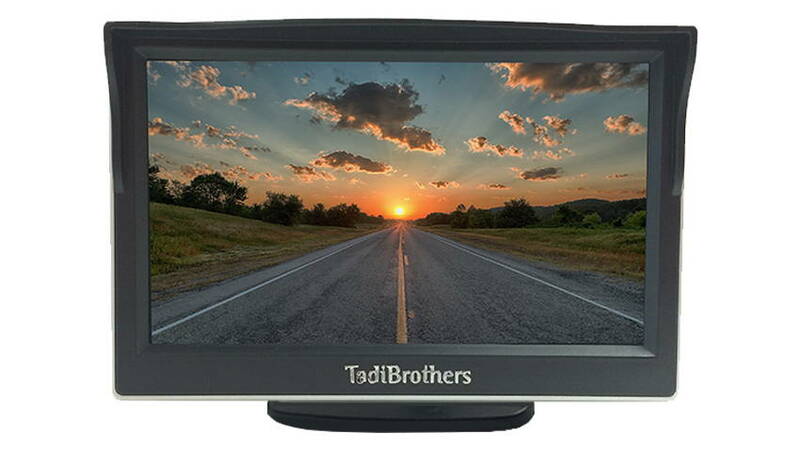 This monitor still has all the standard features of our regular mirror such as 2 inputs and a remote control as well as the special glass that shows you the LCD screen when you’re using the backup camera but looks like a fully reflective mirror when the camera is off. This Mirror also features built-in Bluetooth standard that allows you to make and receive calls with your mobile device. This series has the largest LCD mirrors available. The LCD screen under the mirror takes up the entire face of the mirror. 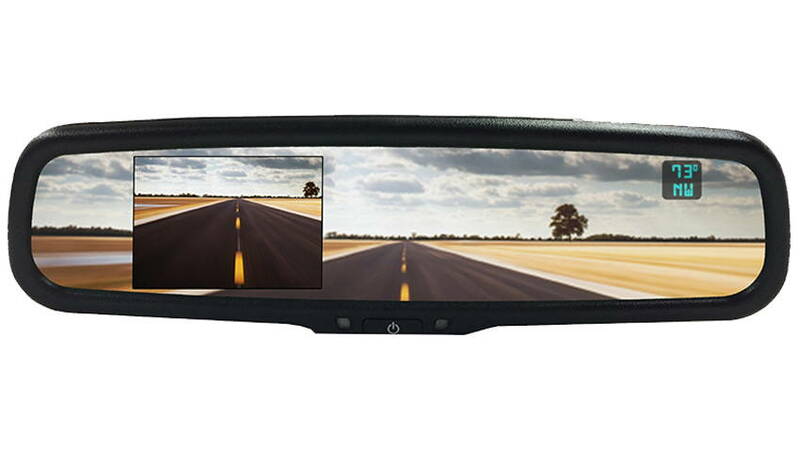 It is perfect for those who want to use their mirror to view their backup camera continually while driving. When the mirror is off or not getting a signal it’s special glass will look like a regular mirror hiding the large LCD panel behind it until the next time you turn it on. This includes a remote control. 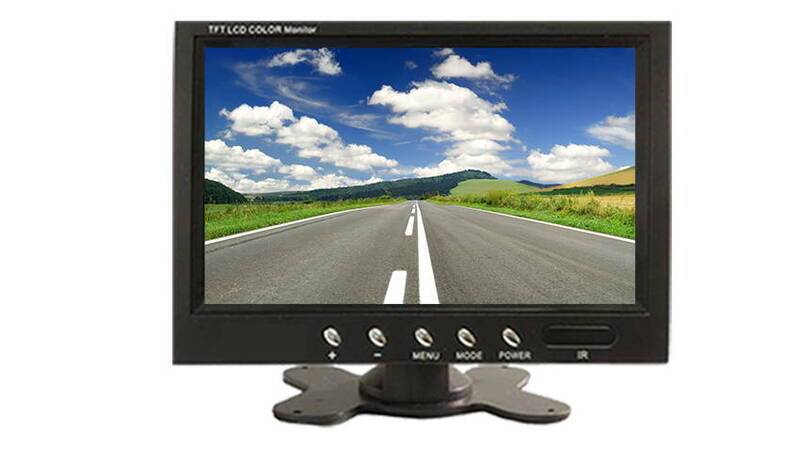 This 7-inch Visor monitor replaces your existing visor and has an LCD panel built into it. It features 2 inputs and is available in 3 colors (Black, Beige, and Grey). You can also pick the side you want the visor to be installed on (Driver or passenger side).